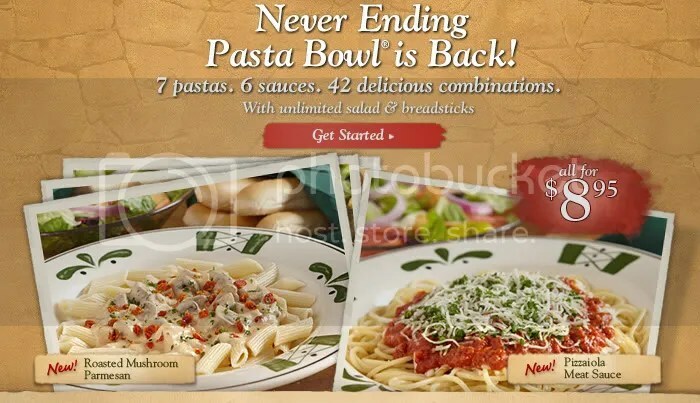 Every year around my birthday Olive Garden comes out with a “never-ending pasta bowl.” Just the sound of that makes me tingle inside. And every year for my birthday, my family and I go and have a competition. We see who can eat the most bowls of pasta. Every year it has been an uneventful contest as I am ALWAYS the clear winner. But this year could be different. My parents are taking us this year and I learned my food eating skills from my mom. Sorry. I meant my dad. I’m going to assume, given his age, he will need to stop and take a Tums or an Alka Seltzer to feel better. Thus, I will beat him handedly. But my oldest son, Isaac, who is now 15 and a sophomore in High School has proved over the past year to be a serious competitor. So, I believe this year may be the year that I am finally challenged in my pasta bowl eating skills! Here is a video I put together in 2008 when we first began our never-ending-pasta-bowl-sam’s-birthday-challenge! A few days ago we were about to have a youth ministry meeting when my dad pops his head in and shares two stories of death and mayhem. It was a real pick me up. Yesterday he stops by my house to drop something off. He asks if I read the obituaries that day. He reads them religiously…not just in South Bend but also in Kokomo and who knows where else. Do you know why? Because it is about death and my dad obviously needs to see a counselor/therapist. Anyhow, in response to his question, I reply, “No, why?” I thought maybe it would be that someone we knew passed away. Nope. He just noticed that in the obituaries there was a guy who was born the same day I was (August 30th, 1971…note the date…my birthday is in 5 days) died. That was it. My dad is sunshine. Sometime this morning I got an e-mail from ME informing me that I had been mugged in Madrid and needed money and help. Oh crap. I think I may have been hacked. Sure enough, within moments, the outpouring of concern that I had either a) been hacked; or b) was actually in Madrid getting mugged started to pour in. (Side note: really mom. Don’t you think if I were going to Madrid I would have told YOU?) Calls from friends around the country – Texas, Colorado, etc. Texts, emails. People contacted the church, they called my parents. In the meantime, I try to log onto my Facebook account and it tells me that I am entering in the wrong password. I know it is the right password. It then tells me that my password was changed at 5:32 a.m. (I wasn’t on Facebook at 5:32 a.m.). Facebook was even able to tell me the location of the person who changed it. They showed me a map of a place off of Kenya, Africa. It asked if I recognized it. NO!! HOW COULD I? I’M IN MADRID!!! Oh…sorry. I’m not in Madrid. Some of you actually tried to respond to my e-mail. And you got further correspondence telling you it really was me that I was in trouble, I was in a police station, I needed you to send money, etc. Sorry. This morning has been a mess. I’ve called AOL. I’ve reset passwords. I’ve lost all of my old e-mails (so if you sent me an e-mail and awaiting a reply…I no longer have record of it) and contacts. I’m hoping this is the end of it. Madrid does sound nice though. Here is a video clip Doug Harsch put together for this past Sunday to give a snapshot of what happened at RECESS 2011. It is a LOT quieter around the offices here at the Living Stones Church. RECESS 2011 ended last Friday with a great day of games and food (thank you Chick-Fil-A for a feast of a meal). And now, we begin a new week without the sound of kids filling the property. It’s sad. On Sunday we had a chance to celebrate the AMAZING eight weeks that this church, tucked into a neighborhood on the South Side of South Bend, pulled of eight weeks of a day camp for the children at the Miami Hills Apartment. Once again – THANK YOU to Meredith Waltman, our Program Directory, and our counselors (giving up 8 weeks of their time for RECESS) – Kristin LaFollette, Dwayne Walding, Mike Michell, Tytannia Hopkins, Josh Silk, and Diane Barrington as well as a HOST of volunteers. THANK YOU also to Monroe Primary Center and the most excellent Jill VanDriessche and Sharon Gilbert. Thanks to Stanley Clark School for the generous use of some of their green space. And thank you South Bend Community School Corporation for providing breakfast and lunches each day. Within Living Stones Church staff – thank you especially to Jennae Gee for coordinating so much and Amy Osterhout for your help in administration and preparations. And most importantly, thank you Living Stones Church for your generosity of spirit and finances that allowed us to have RECESS 2011!! I am a VERY proud Pastor. 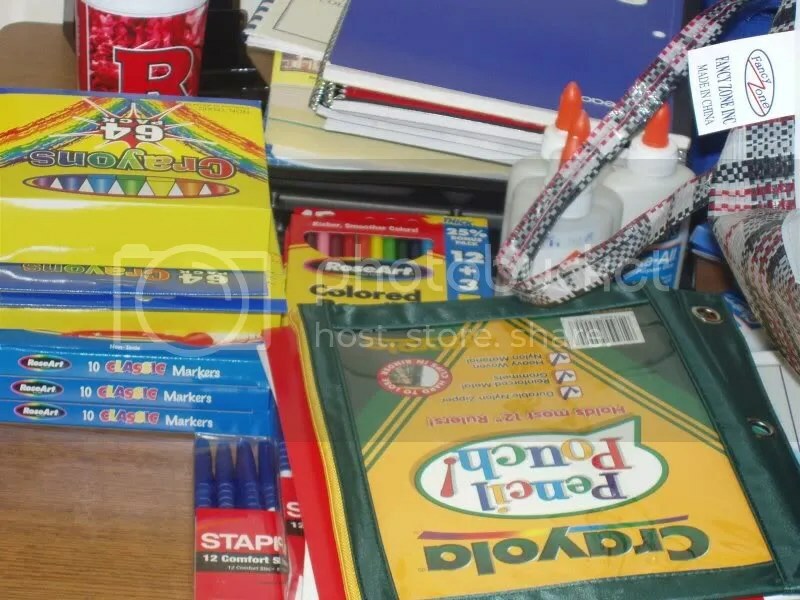 Just a reminder that we are collecting school supplies for the kids from RECESS and Monroe School. This Sunday is the last Sunday to bring your supplies. We are collecting: school supplies [see Monroe list], backpacks [for the little kids too], art supplies, socks, underwear, and lice kits. In addition, gently used clothing sizes 2T-adult L (but for kids), and children’s books. Just bring them with you to church and place them in the lobby with the pile of other school supplies. On Saturday, August 20th from 10-noon every family we’ve met this summer with RECESS will be given tickets to come spend and walk away with a backpack and more for every child in their home ages 3-4th grade! Then we will gather the rest of the supplies and send to Monroe School. 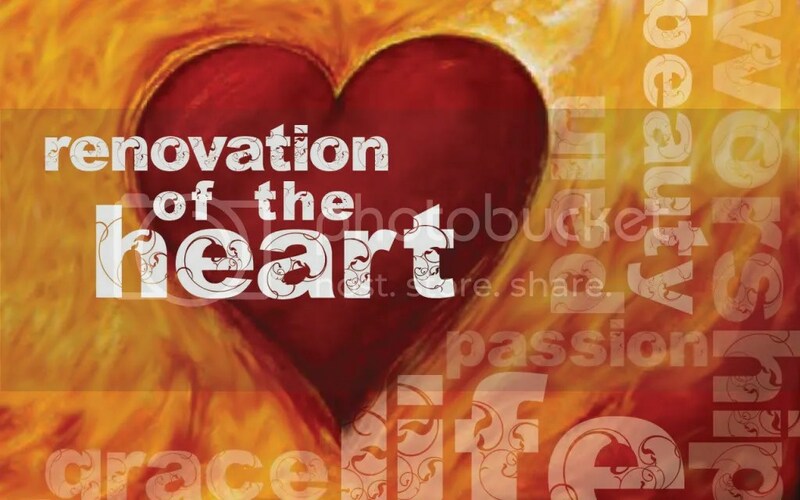 This coming Sunday at the Living Stones Church we begin a three-week message series on worship entitled, Renovation of the Heart. Since it is on worship, Greg Frohna, our Creative Arts Pastor, will be delivering the message this Sunday, August 14. Doug Harsch, who has led our worship for years, will be speaking on Sunday, August 21st. What do you think about when you think about the word “worship“? Perhaps you think about passion, or idols, or if you are like many people, music or singing. But worship is more than music; more than the songs that we sing. Worship is a lifestyle. It’s about beauty, grace, gratitude and awe…about pain, suffering, uncertainty, and despair. Worship is life. This three week series will expand our definition of worship and help us realize that true worship renovates the heart, and ultimately renovates your life.